Hey, y'all! 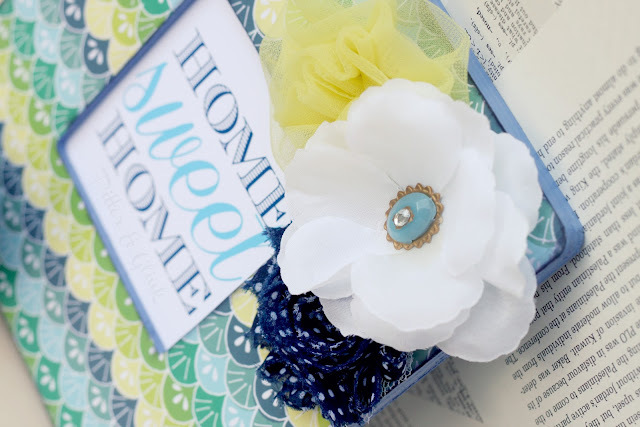 I'm excited to be sharing the frame I created that was featured on The Hair Bow Company's blog last week. 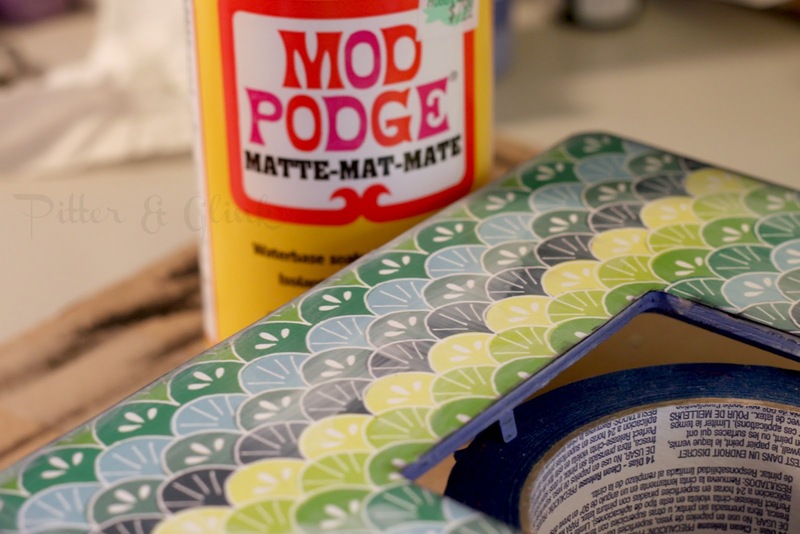 Begin by painting the back and sides of your frame in a color that coordinates with your flowers and paper. 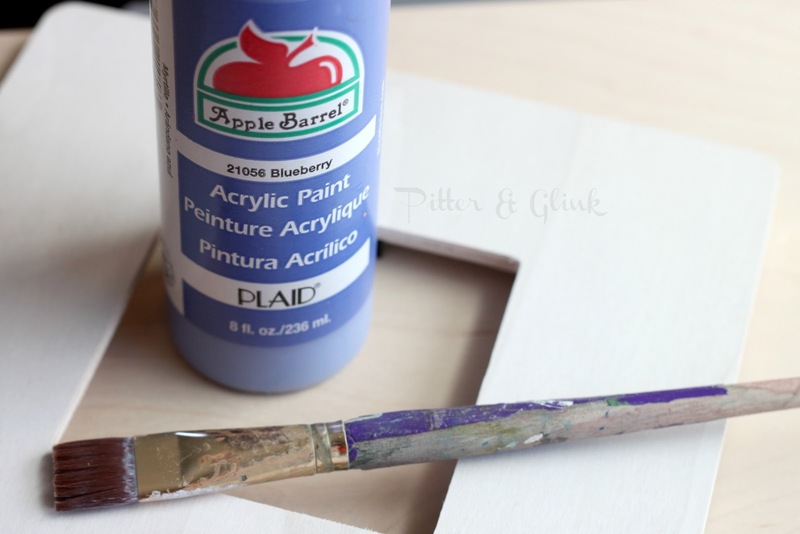 When the paint is dry, trace your frame on the back of your scrapbook paper and cut out your traced shape. 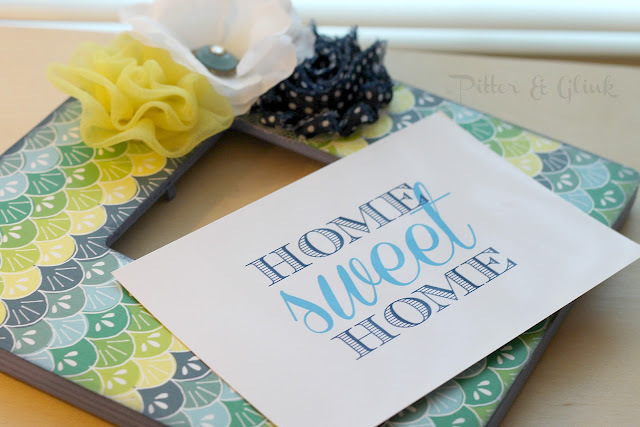 I love to rub an ink pad over the edges and corners of projects like this to add character. 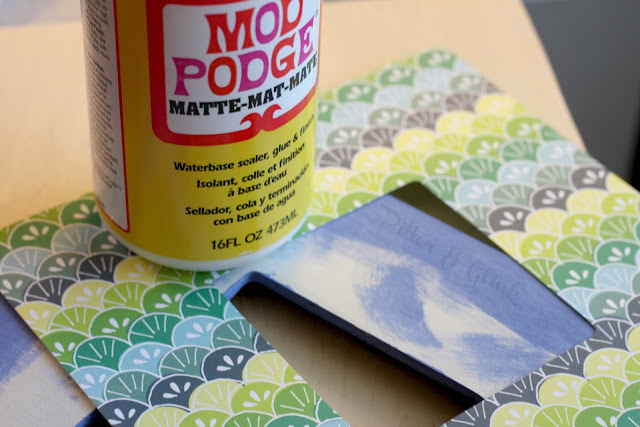 When the Mod Podge and ink has had adequate time to dry, coat the entire piece with Mod Podge to seal it. Then it's embellishment time, which is always my favorite part! 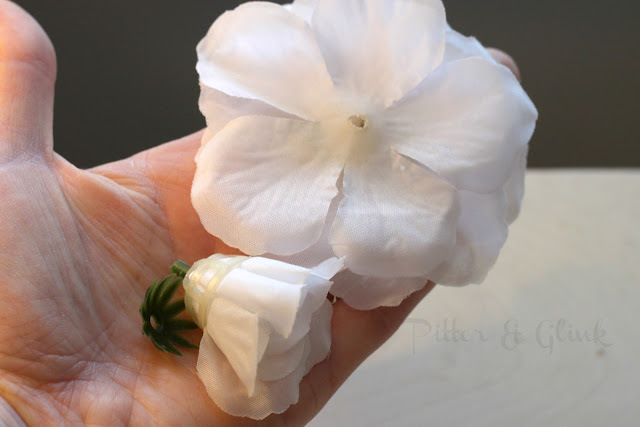 I took one of The Hair Bow Company's Silk Rose Flowers and separated the bottom petals from the middle. I hot glued the bottom petals to the frame and added a scrapbook embellishment to the center. 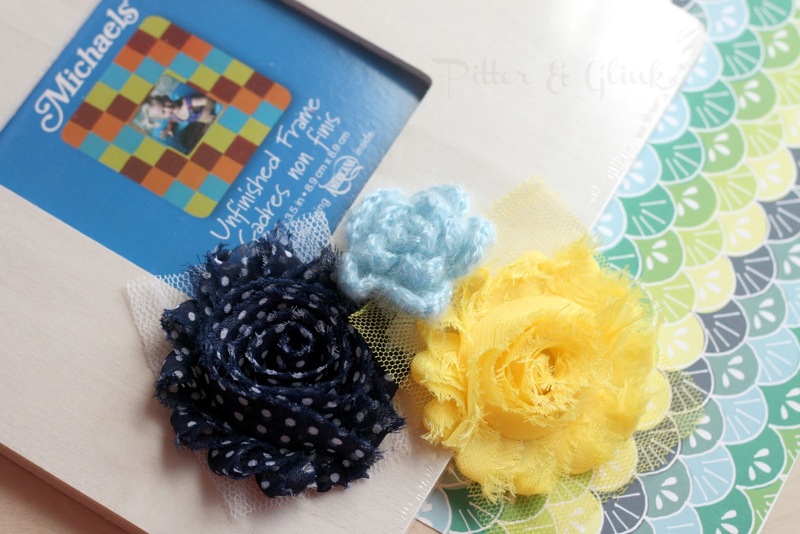 I also glued a yellow Pettie Flower and a navy and white polka dotted Shabby Flower to the frame as well. I created a small print with PicMonkey to fit in my frame. 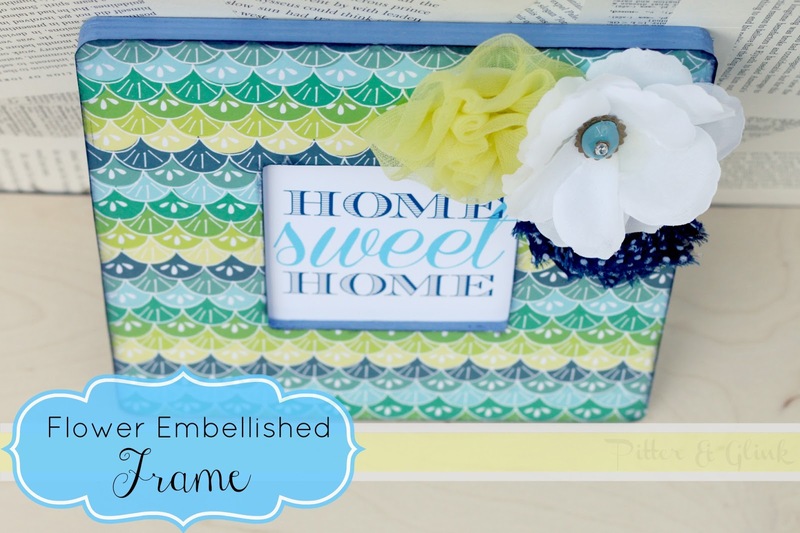 I stuck the image in the frame, and my embellished frame was complete. I love the colors of the scrapbook paper. And I love the dimension the flowers add. 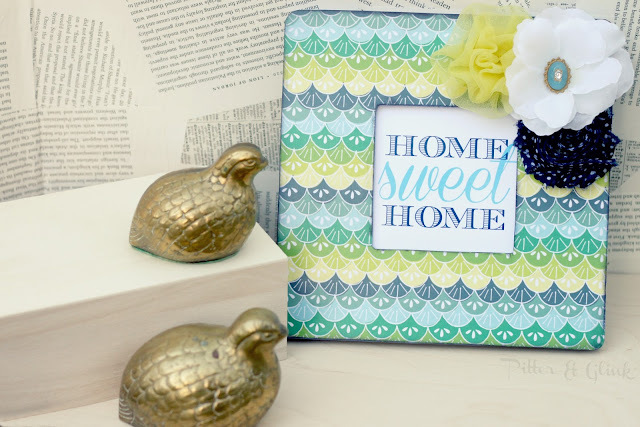 This is such a cheerful piece of decor to add to your house to help chase away the winter blues. And it would be a lovely housewarming gift for a friend. 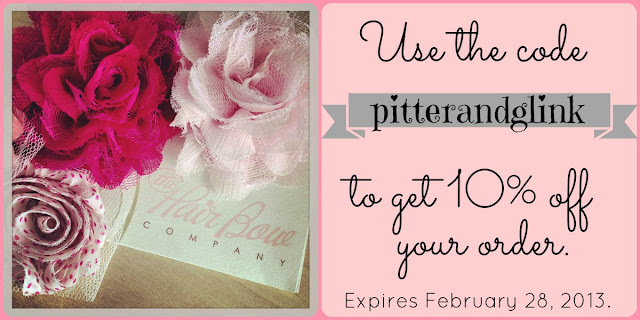 If you would like to purchase some flowers from The Hair Bow Company to use in your crafting, don't forget that I have a coupon code for you! Use it before it expires! :) Disclaimer: While I was given flowers from The Hair Bow Company to use in my crafting, all opinions in this post are completely mine! For further info on my disclaimer policy, see the side of my blog. I love this project. So sweet and love those flowers. Soo adorable. Love the paper you used. That pattern is to die for. So cute! 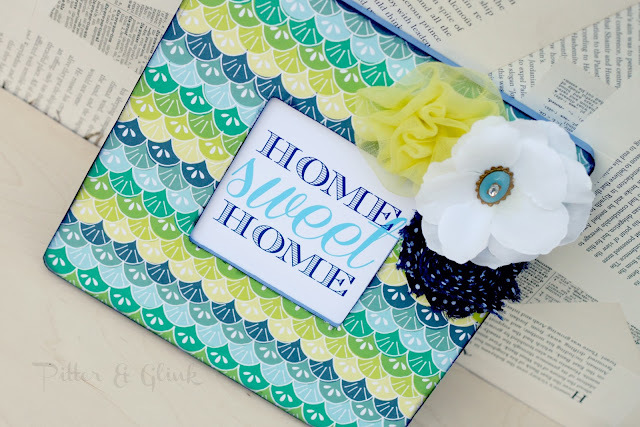 That scrapbook paper is fabulous, and the flowers add such a fun touch! Thanks for linking at Shine on Fridays! This is adorable! The flowers, the paper, the shape of the frame...I love all of it. I'm definitely pinning this for future use. I found you at the Ladybird Lane Link Up. LOVE! I pinned it, too. Thanks for sharing at Pinworthy Projects. So cute! This would make an awesome Mother's Day gift. 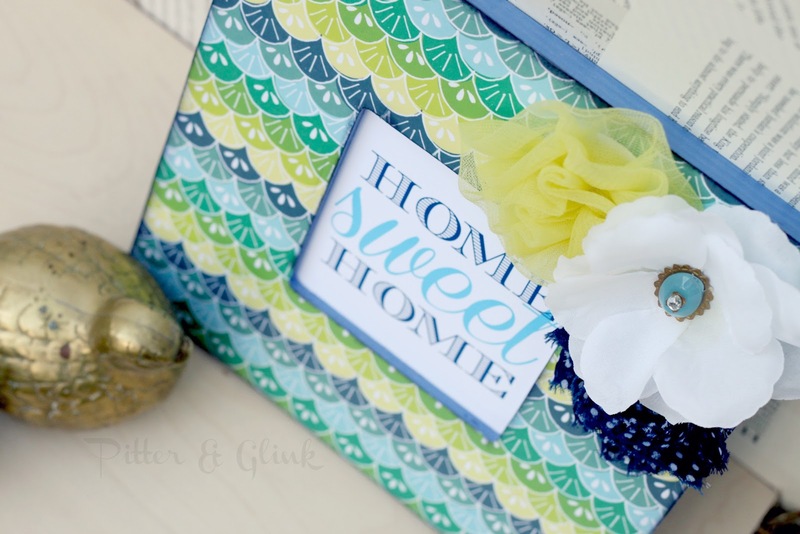 Featuring you today from last week's Pinworthy Projects party!